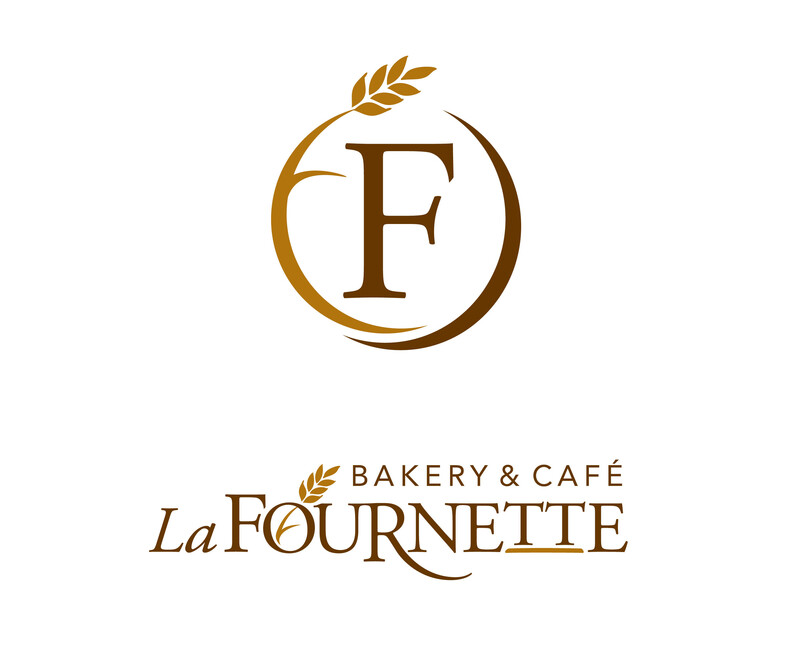 The La Fournette brand image is defined by its "authentically French, uniquely different" approach to the traditional French bakery and cafe. 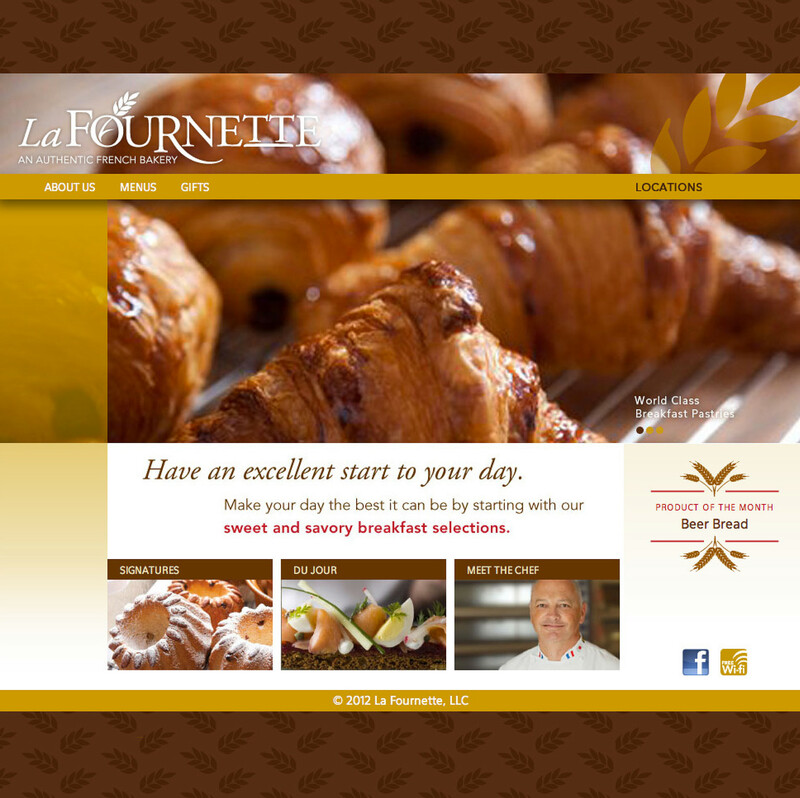 La Fournette brings generations of expertise and craftmanship and blend it with new ideas, culture and spirit. 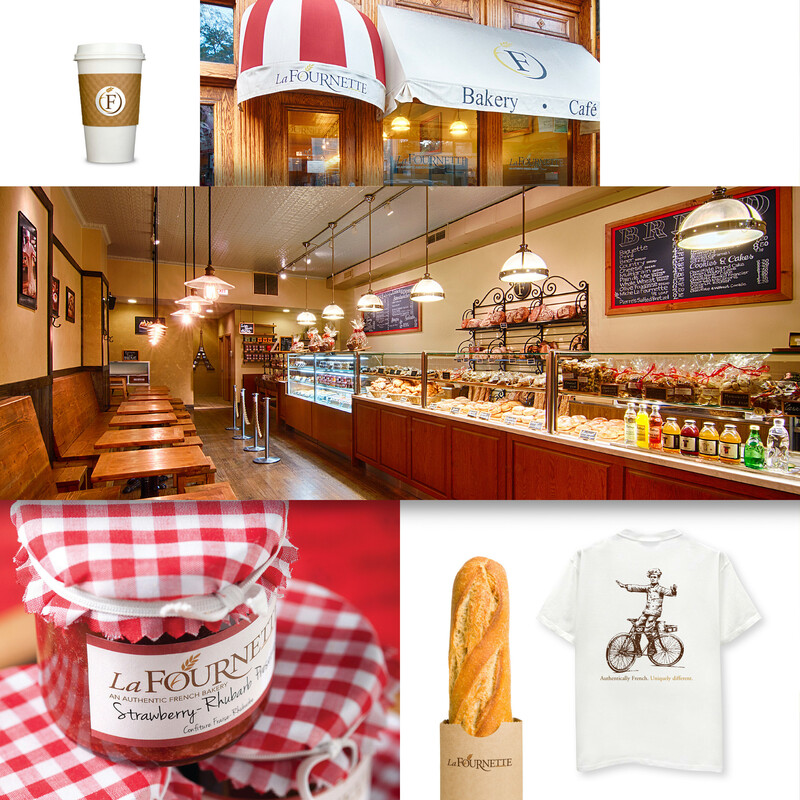 The brand image connotes the warmth, freshness and quality of its products and its people. 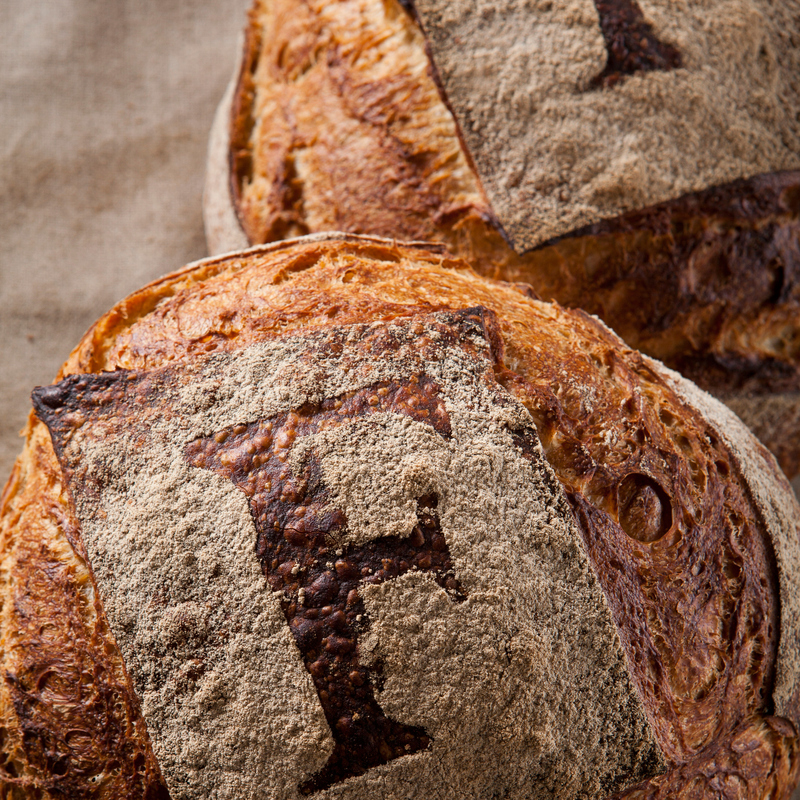 The "F Circle" logo is applied to signage, packaging and used as a secondary graphic element. 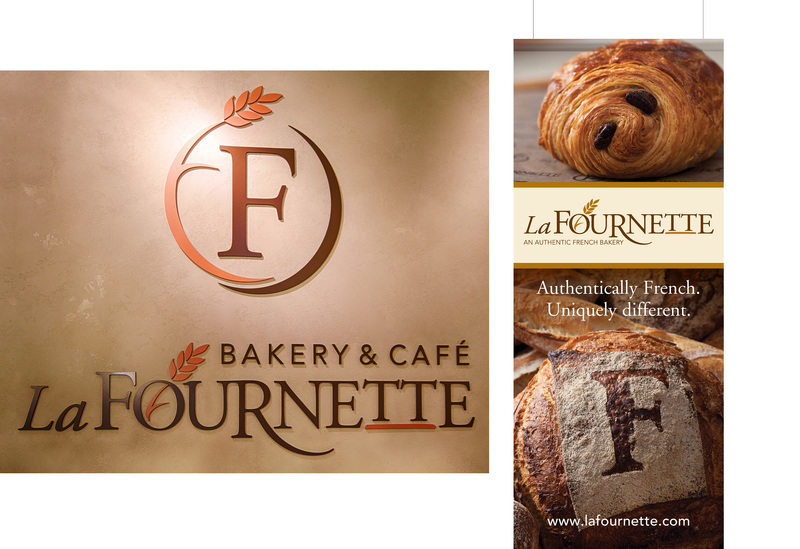 The "Bakery and Cafe" wordmark is reserved for the storefront locations. 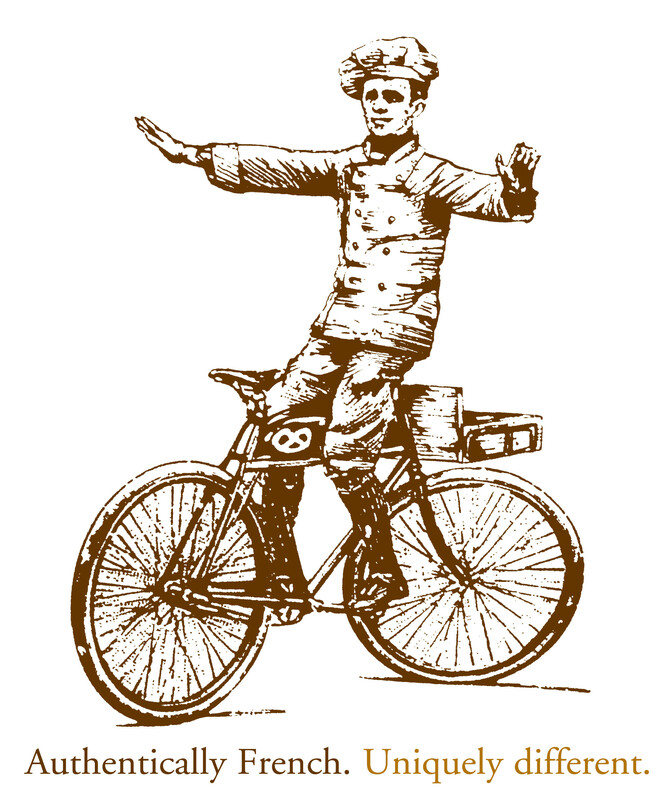 as he rode his bike through town delivering fresh baked goods as a boy. 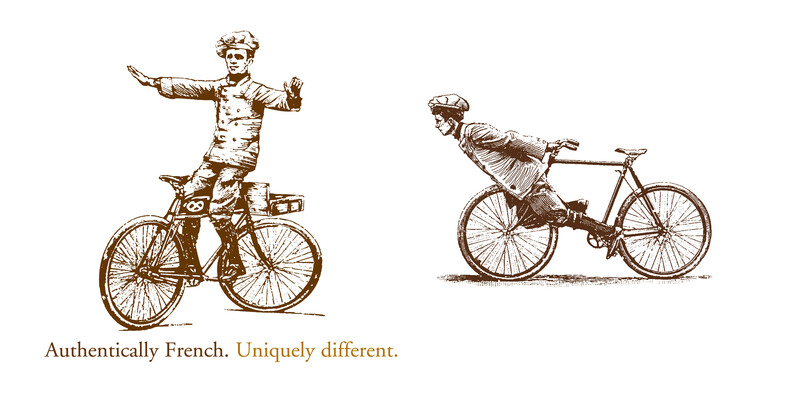 These illustrations have become synonymous with the "Authentically French, Uniquely Different" brand positioning.